We at New Era, have been having long lasting partnerships and have been chosen to develop international links with DUMBARTON ACADEMY, SCOTLAND, UK as part of a major new school twinning project to boost global education. Connecting Classrooms is a UK government and British Council education initiative. New Era Senior Secondary School, Nizampura has been selected in recognition of its commitment to teaching students about global issues. 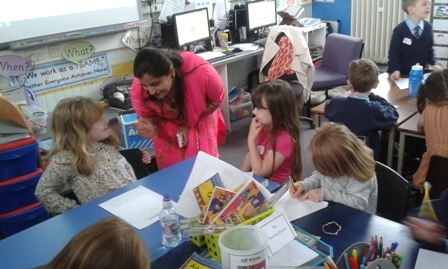 Teachers and students are working with Dumbarton Academy in Scotland to learn how to become responsible global citizens and to develop skills to work in a global economy. Schools across the UK can benefit from a range of support offered by the scheme. 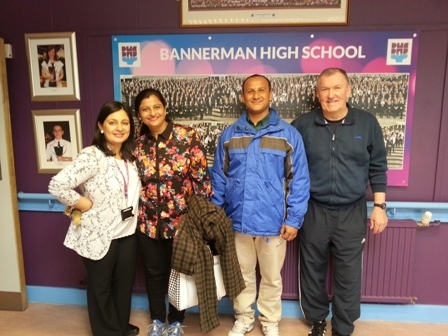 Pradnya Gokhale, Vice Principal, said "There has been sustained Partnership with the UK school. A fruitful outcome of this global partnership was that a calendar was designed and conceptualized by the students of both the schools. The calendar has paintings done by students of New Era and the prize winning photographs by students of Dumbarton. Our school raised funds by selling these calendars and utilized the funds to adopt two endangered animals, the Black Buck and Lorikeet at Kamathi Baug. This year both schools are going to jointly work on waste management Projects." "Connecting Classrooms will enable pupils to learn about the world around them, about the facts of poverty that face children their own age in developing countries, and how education can help eradicate poverty. It will also benefit teachers by enhancing their professional skills." 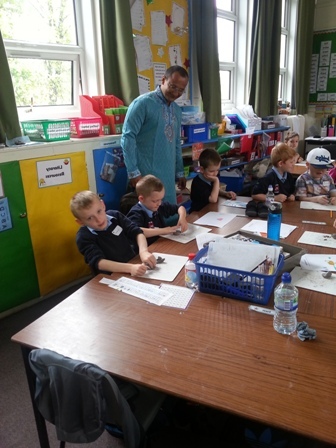 The program enables teachers from the school to take part in an exchange visit with Dumbarton Academy, Scotland and work on classroom-based projects together, with the aim of giving young people a unique and hands-on international learning experience.